After finding the man or woman of your dreams that you want to say “I do” to, the next big item on many brides’ minds is finding the dress of their dreams. Yes, we mean the dress. With all the lace and glitter (or lack of lace and glitter!) that you’ve always visualized for yourself on this momentous occasion. Instead of just popping into the first wedding dress shop you stumble upon, you should have a plan in place on what you’re looking for: budget, the setting of your wedding, and your own personal inclinations of what you love and don’t love. Ironically, however, you should also have a plan to potentially abandon your plan. Not when it comes to your budget or musts for functionality, but when it comes to style. Wedding dress consultants literally spend their lives looking at bridal fashion and helping brides like yourself find the dress that makes them feel on top of the world. Be receptive and open minded — you may surprise yourself! 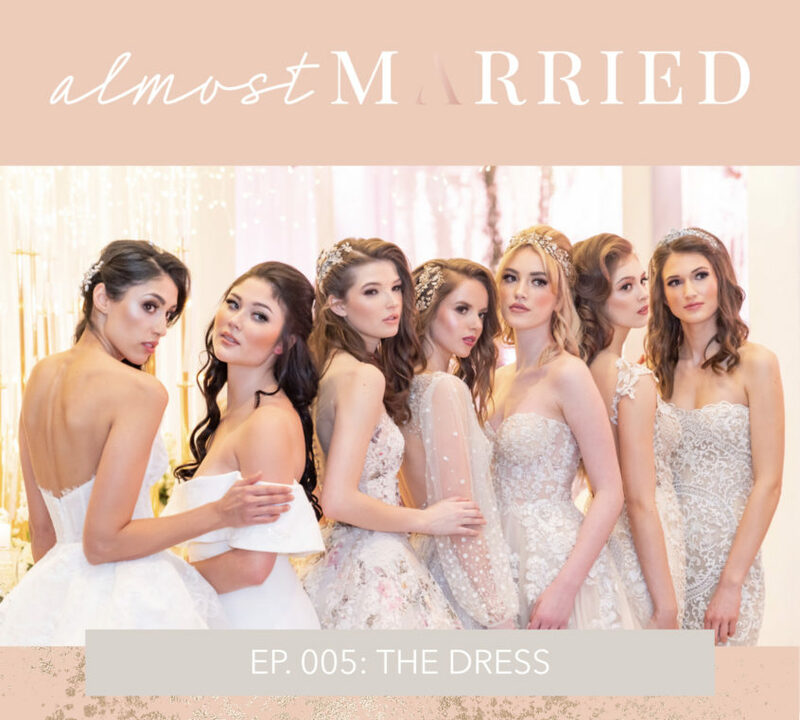 Two of these such consultants, Colleen and Natasha from Bisou Bridal in Vancouver, BC, have joined Aly for today’s podcast to give some really incredible insight on all the things you should know and start thinking about before saying yes to that dress: how far in advance do you need to choose a dress? When is the final fitting if you need to get something adjusted? How much does a dress really cost? If you have a tight budget, how can you still get an amazing dress? And what is in and out of fashion in 2019? Thanks for listening! Make sure to follow Aly on Instagram at @eventsbyaly for more tips & tricks to plan the wedding of your dreams.